The 88th infantry was set up to protect the transportation route of agricultural produce from Agurts to Gafia. Operating at the anarchical desert area, the infantry experienced attacks from the Omanga, who have penetrated into the land of soil ghosts. 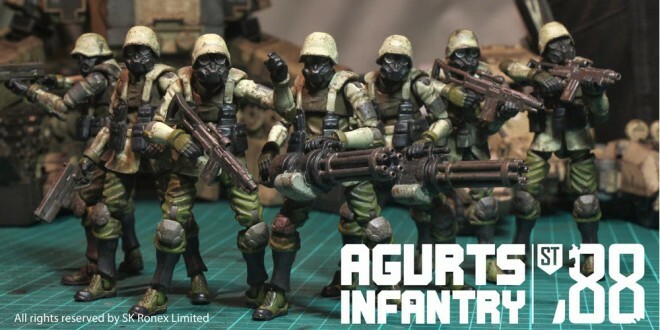 The 88th infantry are facing high risks and they have the highest rate of casualties among Agurts’ military units, even they are equipped with the high end weaponry. Next: NEWS: StarWarsGeek’s Officer Discount!